Kaitlin Debicki is Kanien'keha:ka, wolf clan, from Six Nations of the Grand River. An adoptee, Kaitlin grew up in Hamilton and reconnected to her Indigenous community as an adult through McMaster's Indigenous Studies Program and Six Nations Polytechnic, in Ohsweken. 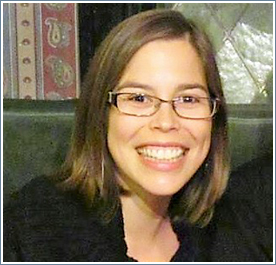 A Kanien'keha language learner, new mom, and recent Phd graduate, Kaitlin's research and writing focuses on relationships and responsibilities to land, and resurgence of Indigenous languages and knowledge. Kaitlin is also committed to mainstream curricula reform around Indigenous-Canadian history, and to community-based, youth focused projects around identity, empowerment, and well-being.